The Demo Years: Private released from the band on CD format in 1996, at that time known under the title "Jacobs Dream" or "Demo '96". Jacobs Dream: Originally released on CD format in 2000 by Metal Blade Records, this is the first album of Jacobs Dream. Jacobs Dream is a US Power Metal band with progressive and lyrical elements, in the vein of the first albums of Crimson Glory and early-Queensrÿche. 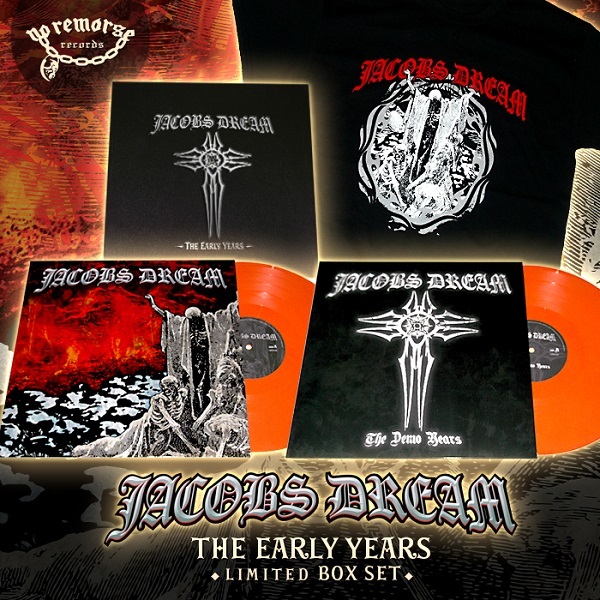 At their demo period, Jacobs Dream were considered the best new band of its era, among many fans of underground Power Metal, and "Jacobs Dream" is said to be, one of the best US Power Metal debut albums of all time.